These are subscription databases available only within the Library and Archives. Click here for our complete list of databases. But there was much, much more: Bill Justis’ aptly titled sax instrumental “Raunchy,” a national Top Three hit; some of Roy Orbison’s earliest recordings, including “Ooby Dooby”; the rockabilly classic “Flying Saucers Rock and Roll,” by Billy Lee Riley; the first pop hit, “Lonely Weekends,” for pianist Charlie Rich; and such high-charting R&B entries as Rufus Thomas’s “Bear Cat.” It is a testimony to Phillips’ ecumenical, color-blind vision of American music that a song like “Breathless,” by Jerry Lee Lewis, could make the Top Ten on the pop, country and R&B charts alike. Phillips not only recorded the varied streams of ethnic music that flowed throughout the South in the Fifties - from blues and R&B to country and gospel music - but was convinced he could bring them together in one irresistible package. 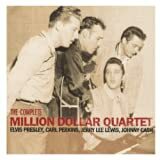 As a producer, label owner and talent scout, Phillips pioneered a new style of music called rockabilly. He commenced operations in 1950, abandoning his career as a radio announcer and renting space at 706 Union Avenue for his Memphis Recording Service. Among many music scholars, “Rocket 88,” by Jackie Brenston - the singer and sax player in Ike Turner’s Band - is regarded as the first rock and roll record. It was produced by Phillips at Sun in March 1951 and released on the Chess label. In 1952, Phillips launched Sun Records on its 16-year, 226-single run. (That figure doesn’t include the 71 singles released on Sun’s sister label, Phillips International!) Those 45s and 78s with the familiar Sun logo amount to a treasure of music whose greatest moments mark the spot where rock and roll originated and thrived in all its frantic, wild-eyed abandon. “We’re all crazy,” Phillips has said of himself and his charges at Sun. “But it’s a type of insanity that borders on genius. I really feel that. To be as free as you have to be for any kind of music, you almost have to be in another dimension. And to do the broad expanse of rock and roll takes an element of mind expansion that people less creative would term insanity. 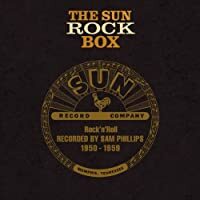 Good Rockin Tonight is the history, in words and over 240 photographs, of Sam Phillips' legendary storefront studio, from the early days with primal blues artists like Howlin' Wolf and B.B. King to the long nights in the studio with Elvis and Jerry Lee. As colorful and energetic as the music itself, it's a one-of-a-kind book for anyone who wants to know where it all started. These are just some of the books related to Sun Records available at the Library and Archives. Click here for all of the Library and Archives resources on related to Sun Records. 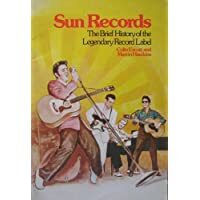 Related to Marsh by many of the people who were actually there, "Sun Records" offers a compelling oral history of the legendary Memphis record label where country, blues, and pop merged into rock and roll. Illustrated throughout with historic photos. Brief history of the legendary record label. 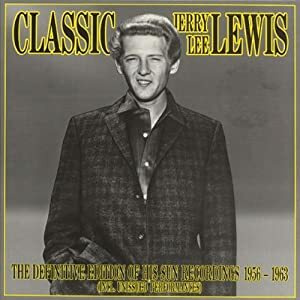 This set presents a comprehensive selection from the Sun catalog of rock 'n' roll, blues and rockabilly classics that simply have to be heard to be believed. The Library and Archives can help you learn more about Sun Records via our audio collection. Click here to check out all of the Library and Archives audio materials related to Sun Records. These recordings, made at the original Sun studios between 1950 and 1959, capture the changing complexion of country music. 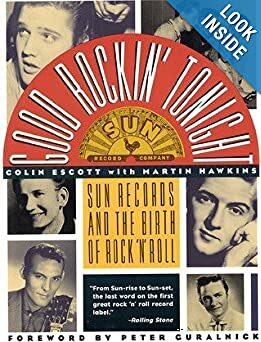 Here on 8 CD's and the accompanying 224-page hardcover book is the story of rock 'n' roll on Sun Records, the place where it all began. Roy Orbison's "The Sun Years 1956-58" contains almost 64 minutes of enjoyable tunes of what might have been hits in an alternative 1950s universe. Along with "Ooby Dooby," "Rockhouse," "You're My Baby," and "Go! Go! Go!" are the other two Sun singles "Devil Doll" and "Chicken Hearted" as well as "Domino," "Mean Little Mama," "Claudette," and many more. This is a remarkable recording, offering not only a glimpse of the real Elvis Presley but standing as a musical artifact of the birth of rock and roll. Elvis fans will absolutely love it, but anyone interested in the music of that era should find much insight and enjoyment of their own in listening to it. 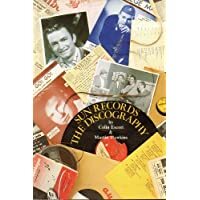 Includes a videotaped interview with Sam Phillips from 1999, as well as a transcript of the interview. Showcase Moore's career from his early days at Sun Records to the present, providing rich insight to the life of a rock and roll guitar legend. Vice President of Education and Public Programs Robert Santelli and Chief Curator Jim Henke speak with Sam Phillips in a January 27, 1999 interview. Phillips discusses the Rock and Roll Hall of Fame, his early influences, his life in Alabama prior to establishing Sun Records, his work in radio, establishing Sun Records, and his experiences advertising and scouting throughout the South. Phillips also takes questions from the audience and comments on modern recording technology, meeting Elvis, and responds to accusations that Elvis and Sun Records exploited black culture. Rock Hall's Education Programs Manager Jason Hanley interviews record producer John Fry in Ardent Studios in Memphis, Tennessee, on April 1, 2005 (label date). He talks about the Memphis music scene including live music, recording, production, and radio, during the early years of rock and roll in the 1950s; a particular attention is paid to Memphis-based labels Sun and Stax. He also discusses his career as a record producer and working with prominent figures of rock and roll. On March 31, 2005, Milton discusses his early life in rural Inverness, Miss., and his music career at Sun Records, Chess-Checker Records, and later Stax Records. In Part 1, Moore discusses his early music career, including his musical and career influences, being part of a number of acts including the Starlite Wranglers, and his guitars and equipment choices; all leading up to his first years at Sun Records. Moore continues in Part 2 to discuss his role in establishing Elvis Presley's place at Sun Records; the preparation and recording process for the "That's All Right"/ "Blue Moon of Kentucky" single (1954); touring and performing at various live venues and at the Grand Ole Opry and Louisiana Hayride; and Presley's (and his early band's) style of learning songs, rehearsing, recording, and performing. Sun Records A Brief History Bear Family Sun Records Trailer Good Rockin, Tonight. The Legacy of Sun Records . Preview.